The new MacBook Pro with the Retina display has become one of the most significant line upgrades in terms of performance, convinced John Poole, the creator of the benchmark Geekbench. According to him, the hardware of laptops demonstrates such an increase in processing power, which Apple’s line of professional laptops has not seen since 2011. According to the Geekbench synthetic test, compared to the 15-inch MacBook Pro of the previous model year, the performance gain of new models was 12-15% for each of the six processor cores separately and 39-46% for all at once. In 13-inch MacBook Pro, the increase in processing power of processor cores is 3-11% and 81-86% respectively. 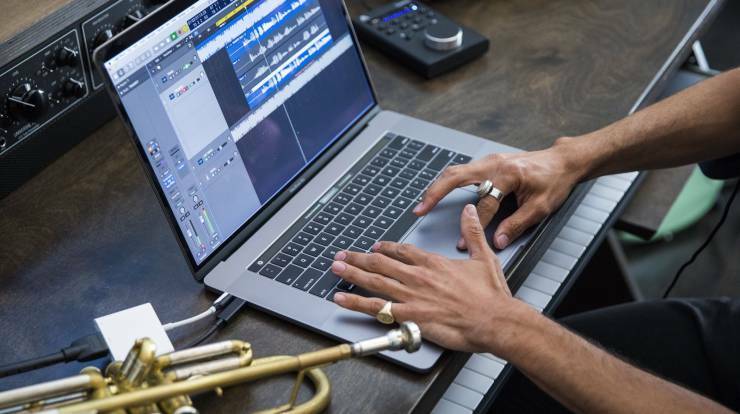 Such a serious leap in the performance of laptops was made possible by the additional cores in the 15-inch MacBook Pro, as well as the increased frequencies of the Turbo Boost mode and the transition to the DDR4 standard. According to LaptopMag, the new MacBook Pro is equipped with the fastest memory on the market. Thanks to her laptops show an average recording speed of over 2500 MB / s.
The only thing the new MacBook Pro still loses to competitors is the performance in games. Despite top-end hardware, the fps on the 13-inch computer in the Dirt 3 game did not exceed 38.8 frames per second. Windows laptops on comparable “hardware” and at comparable cost showed much better results. Also Check: Game consoles are almost dead, but what will happen after them?